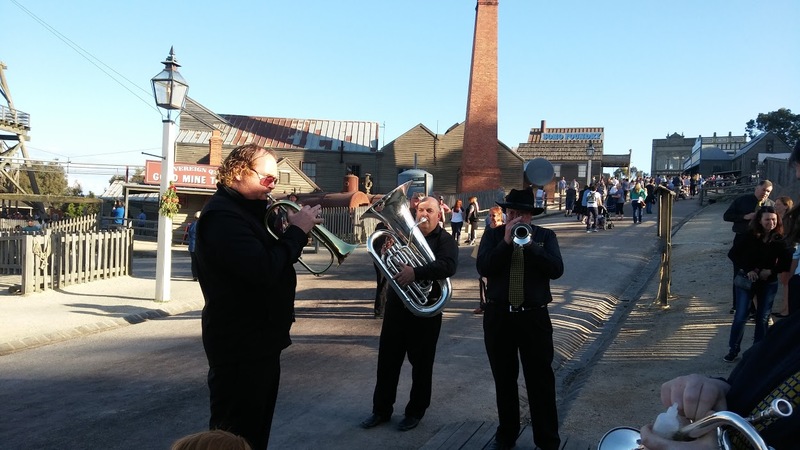 Need a bit of music to warm the soul? Never fear! 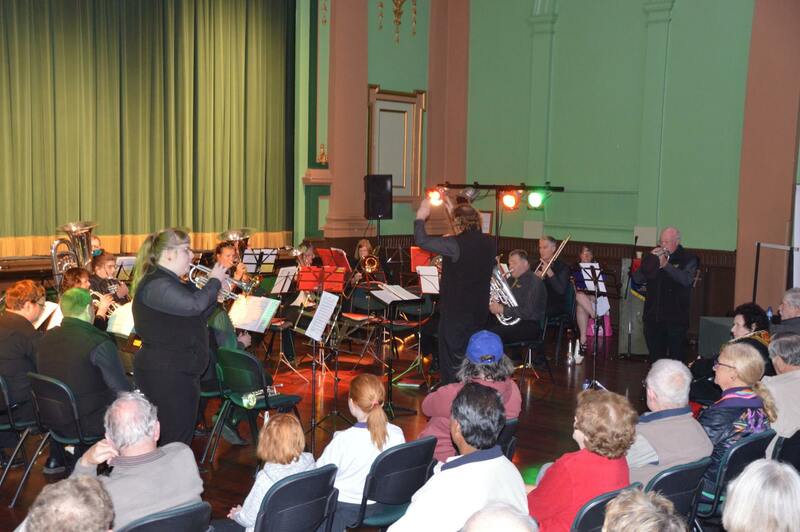 Ballarat Brass will be playing at Winterfest at the YMCA in Delacombe on Friday the 28th July from 6- 7:30pm. 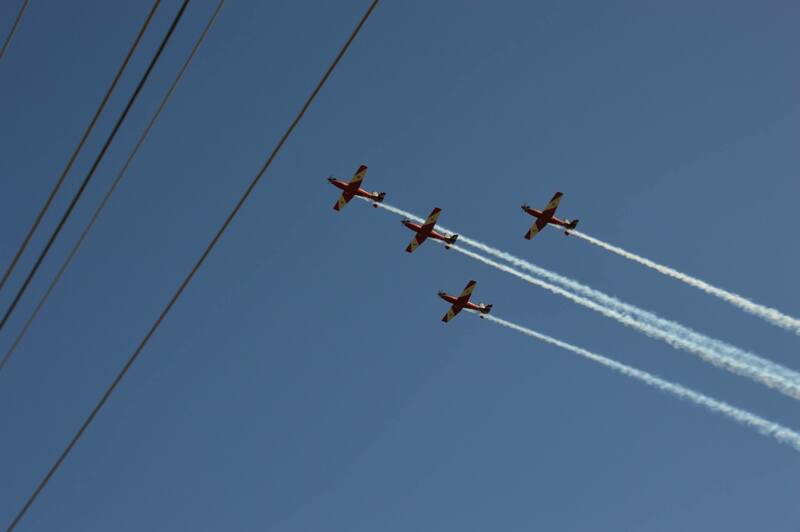 We look forward to an exciting year ahead. If you you have any suggestions, concerns or queries do not hesitate to chat to a friendly and hard-working member of the committee. 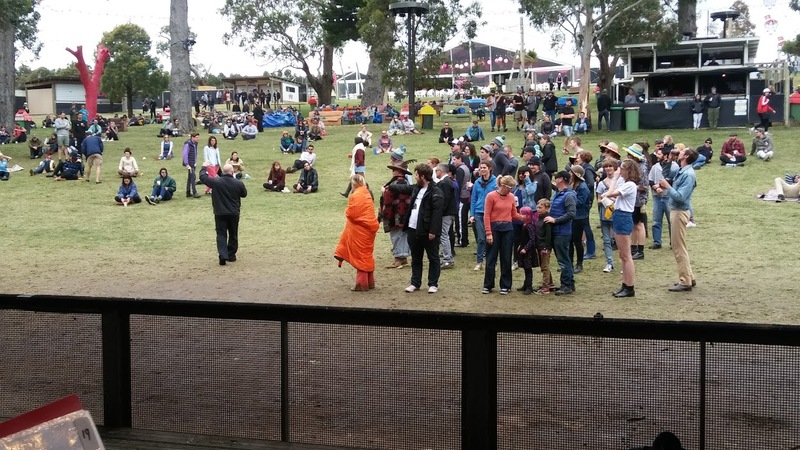 This year Ballarat Brass played at Meredith Music Festival for its 12th consecutive year. 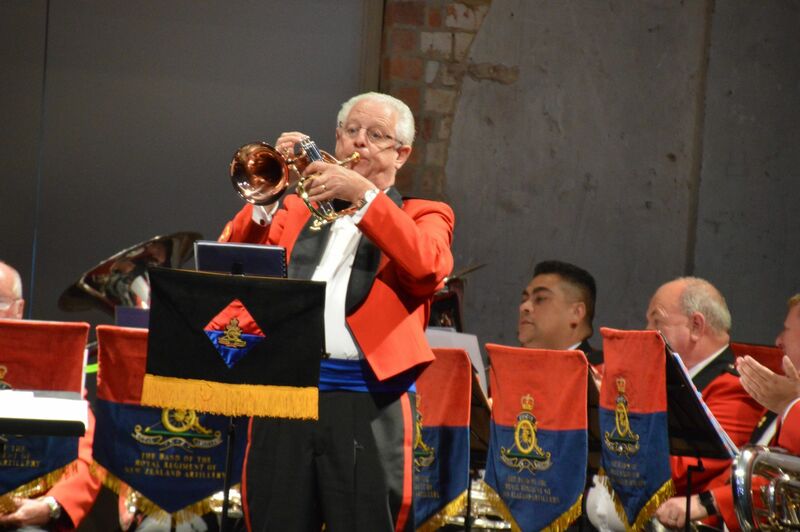 The Band created a wonderful full sound under the leadership of Troy Cheeseman. 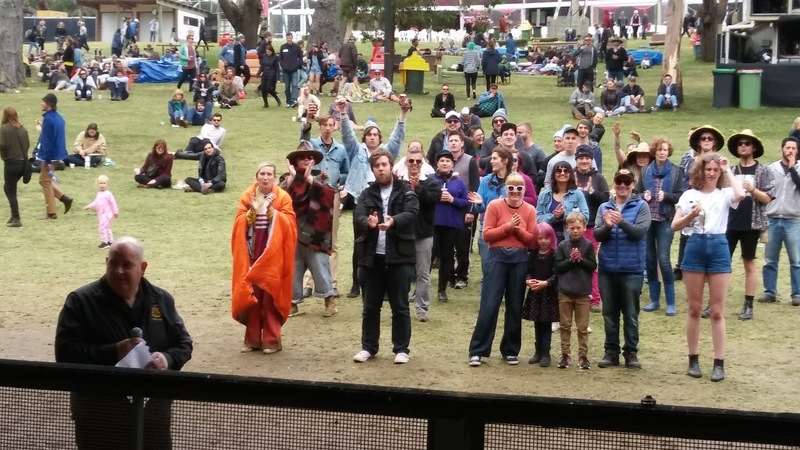 Bass player/MC Jason White had the crowd energetic and ready to ‘Rock around the Clock’ at 10am. 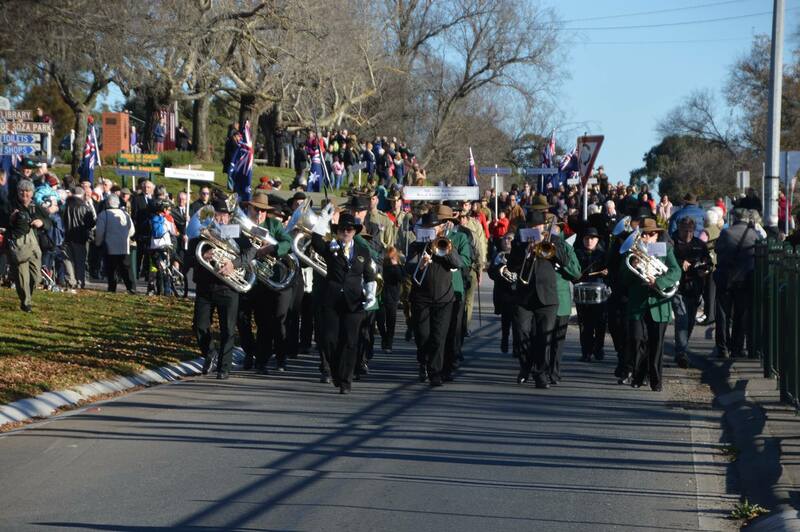 He even led them on a march around the hill whilst the band played HSB! 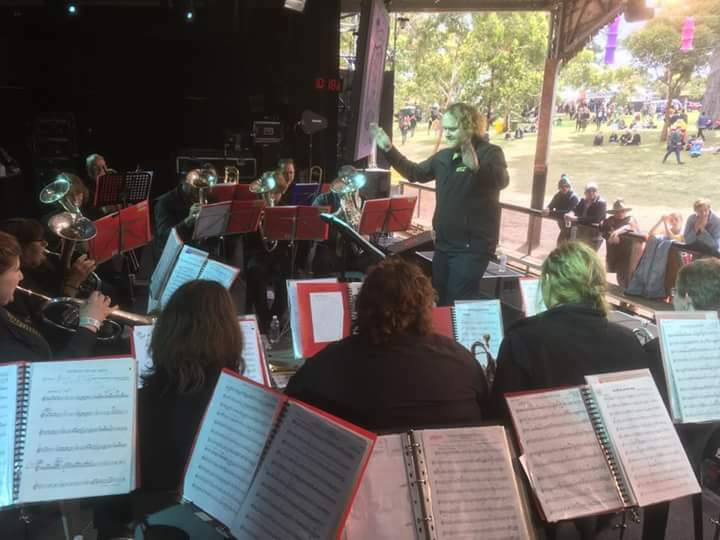 Meredith is always one of our favourite gigs and we cannot wait to (hopefully) return again with more surprises next year! 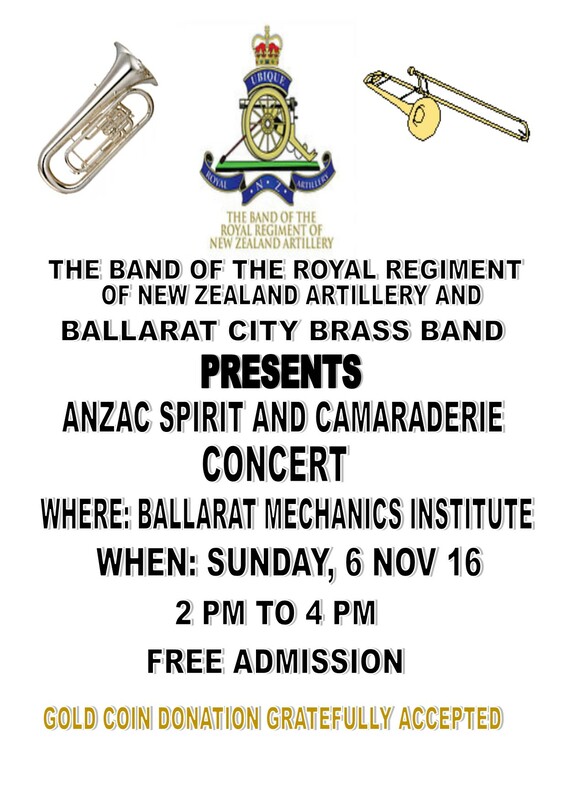 Come and hear the band play at the Ballarat Annual Show this weekend on Sunday, 13th November 2016. 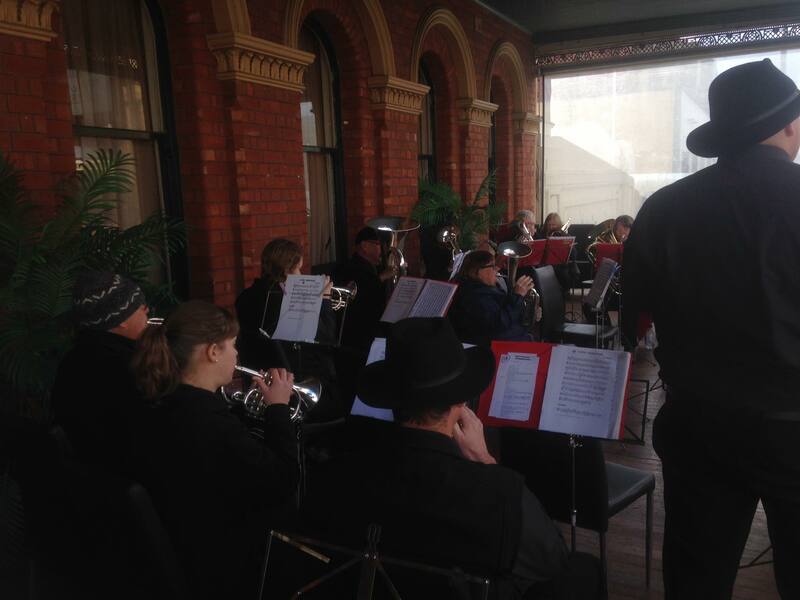 The band will be playing in the Rotunda near the main office from 10 am to 11.15 am. 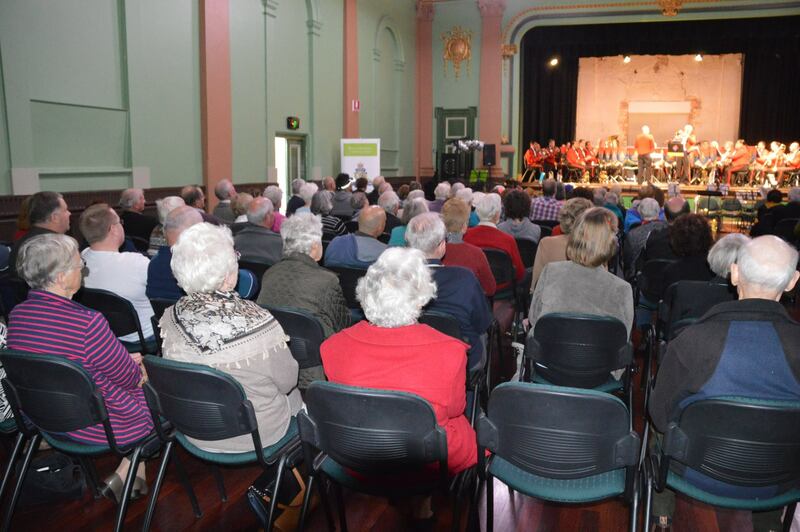 The afternoon concert with the Kiwi’s went extremely well and everyone thoroughly enjoyed both bands. 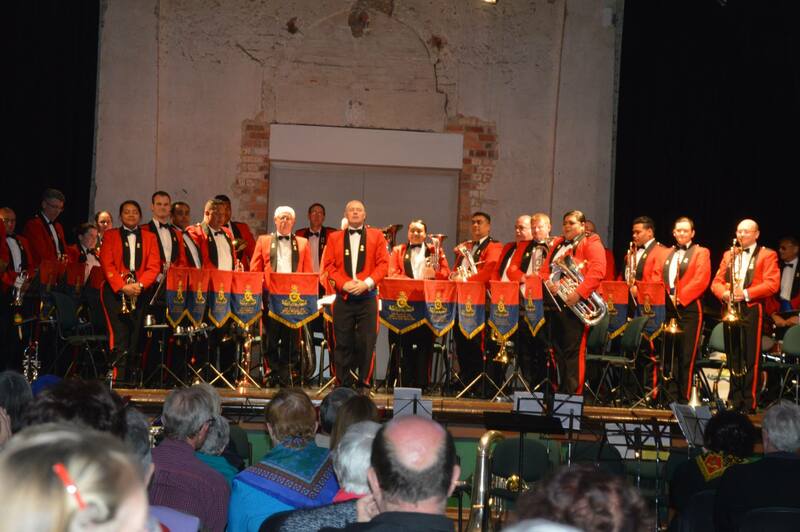 The NZ Artillery Band were Excellent and their repertoire was both fun and full of great playing by individuals and the band as a whole. 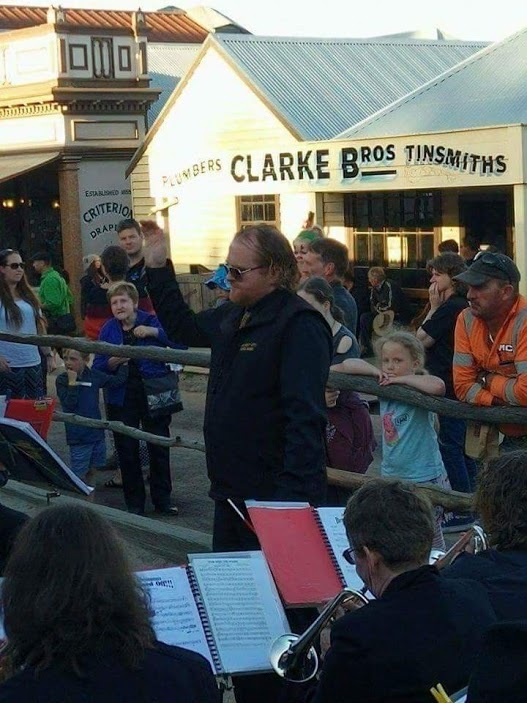 The Ballarat City Brass Band would like to acknowledge the support from Creswick and Ararat band members who help make it a very successful concert. 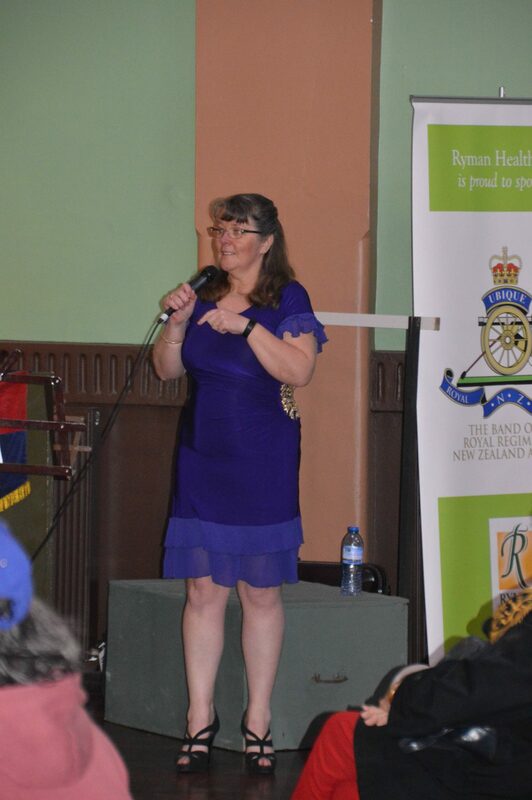 Also to Lynn Thorp for acting as our MC for the afternoon. Tamara and Bob City Band playing Crazy as a Duet. 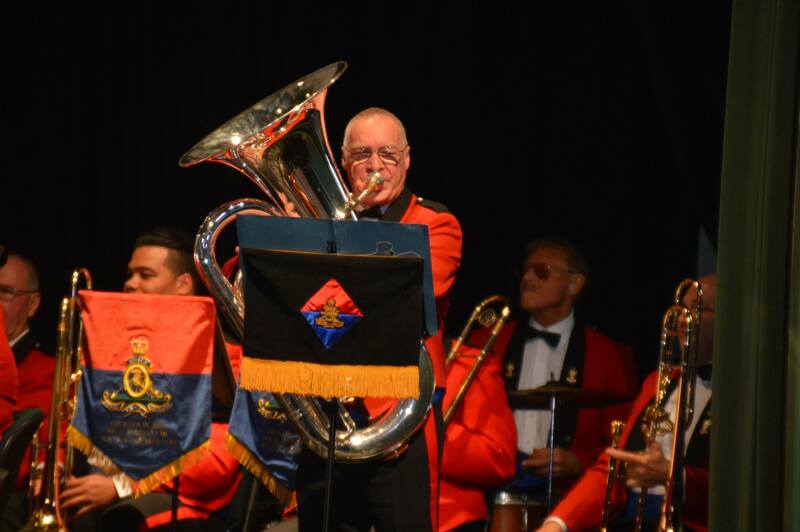 The Royal Regiment of the New Zealand Artillery Band will be in Australia until the 13th November 2016. 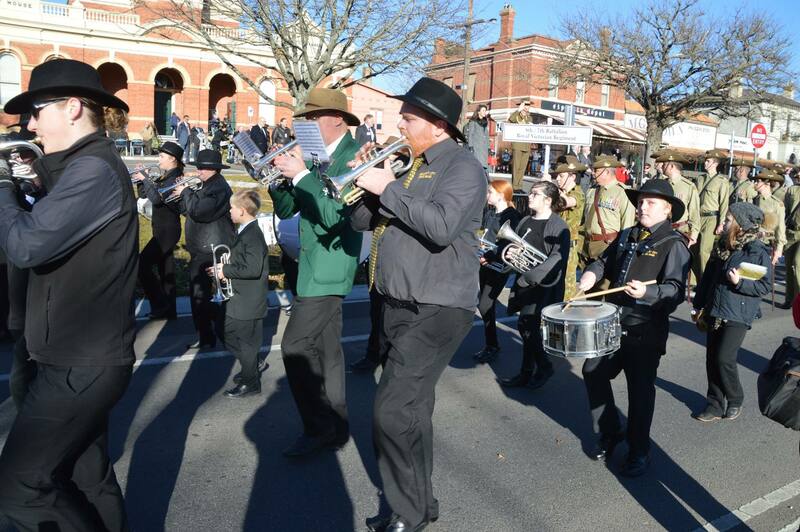 They will be involved as the leading band in Melbourne on Remembrance day, replacing the Royal Australian Navy Band for this year. 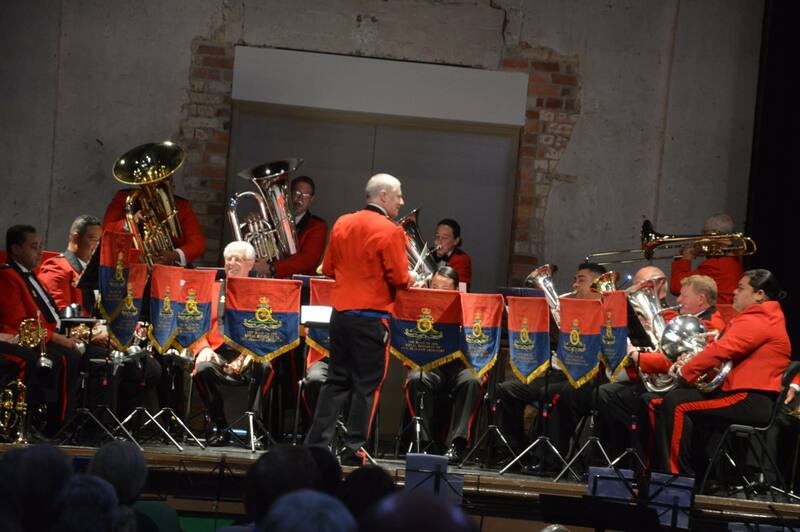 We wish them all the best for the rest of their tour and thank them for allowing our band to be a part of their concert program.